Here is our New decor for your happy place. Mark your happy place with this Quilt Room Decal. It measures 4" high by 29" long. Perfect for over a door to your room or to decorate your walls. This is exclusive to Bee Happy Quilting. 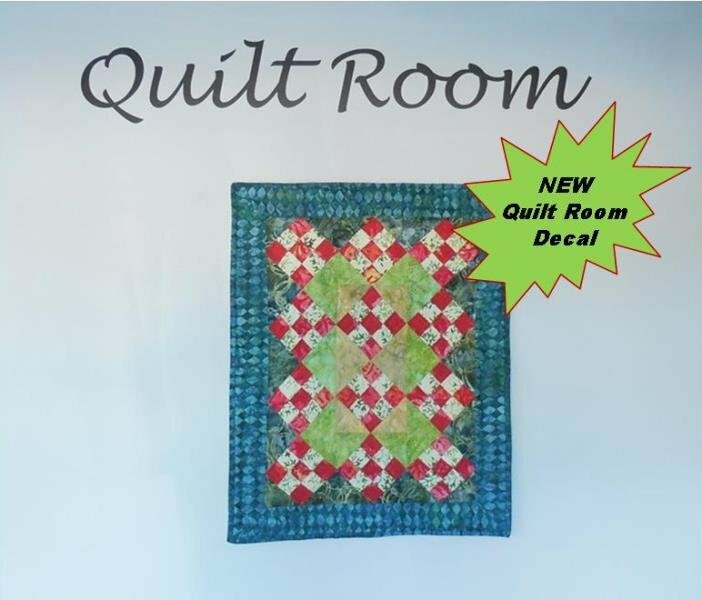 A great gift idea for your favorite quilter!